Mode Madeleine: Forget LBDs...White is Right! Versace, Stella McCartney, Victoria Beckham. Cameron Diaz, Michelle Williams, Kate Hudson, Anne Hathaway. Time to get brave girls and banish your wintery LBDs and start embracing the LWD! Perfect for any occasion; dressed up with glam heels for a night out or dressed down for the daytime with sandals and a straw hat (check out the cute lace one from Topshop above!) 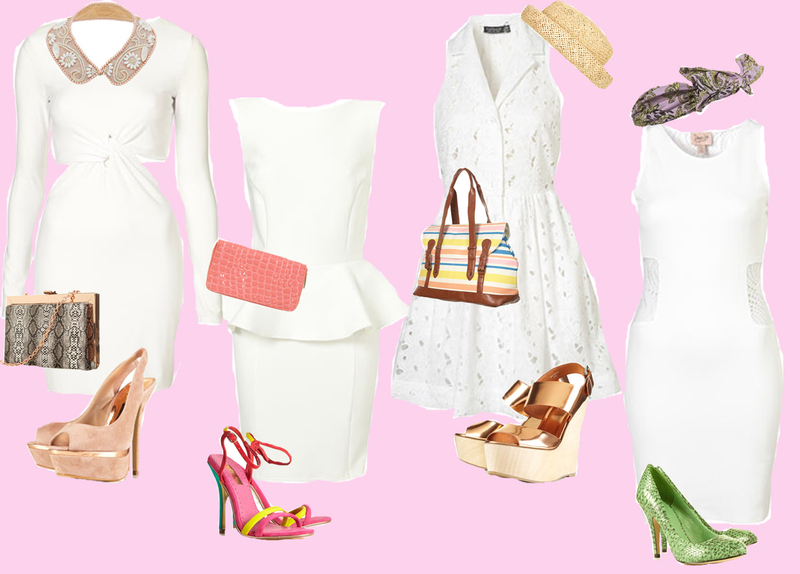 Anything goes with white, so you can sport a different S/S 12 trend with your LWD each day of the week and it will still look unique! Go for neon nights, florals for Friday, metallic on Monday and shimmer away on a Sunday! Don't shy away from white...it's your friend! Especially with a great tan after you come back off your holidays...what better way to show that sunkissed skin off! ?